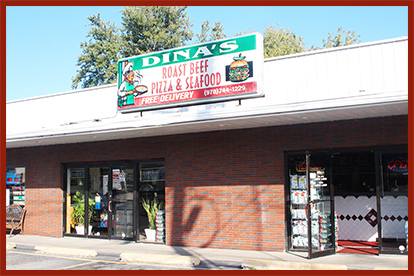 At Dina’s Roast Beef we serve delicious pizza, subs, salads, seafood and of course roast beef! Check out our Specials and call ahead for takeout or delivery. We look forward to serving you.